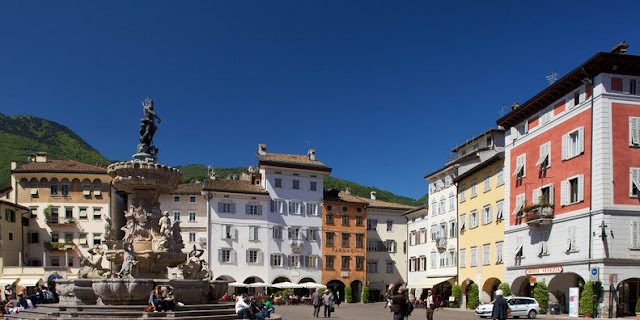 This Wholly Imperfect Life: Favorite Friday: My favorite places in Italy! Ah. Italia! Italy conjures up great memories. Some of you may or may not know that I spent a little over six years of my life, on and off living in Italy. I can say that they were some of the best years of my life. Our first son was born there! There is not a day that goes by that I do not pine for Italy. I would go back in a heartbeat. There is something about Italy that just lures you in, takes hold and never lets go. Once you've got the bug, it's hard to get over it. There is no cure. I got the best of both worlds while I was there. 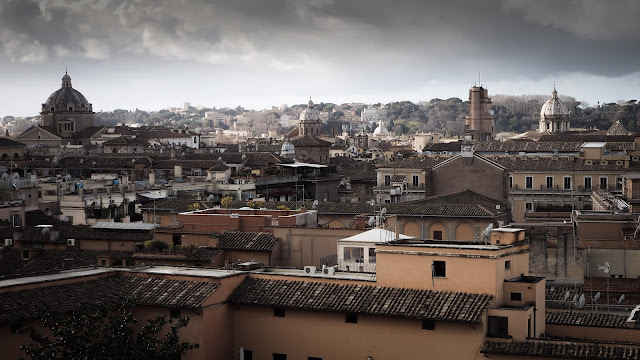 My longest stretch was when I lived in Rome which is, to many Italians, the South. I would say it straddles both North and South. But after having lived in the North for a short time, I can see the clear difference between the life that is lived in the South and North. So here are some of my most favorite places to visit. If you are ever heading to Italy, let me know so that I may recommend lots and lots more. The list is inexhaustible. 1. Rome. There is no place like Rome. It is the "eternal city" for many reasons, but probably the best part of Rome is the presence of the Church. It is unlike any other place. To visit the places of the Church is to visit history and eternity. You can live your whole life in Rome and never see all there is to see. Besides the Church there is so much rich history of art and architecture. The city is a museum. A living one. 2. Siena. 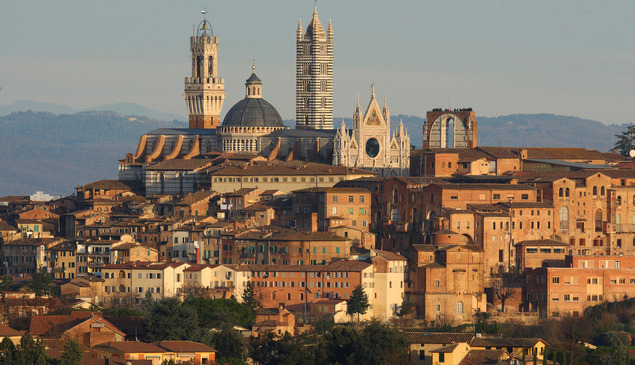 Siena is probably one of my favorite ancient cities next to Rome. What I love the most about it is that it's small and quaint yet it's history is large and it's traditions are extravagant. One of my favorite saints is from Siena. St. Catherine, named doctor of the Church. Here you will be blown away by its' unique central Piazza, Piazza del Campo. The rich tradition of il Palio a bare-back horse race that takes place each summer on the Piazza del Campo is something to experience. It goes back centuries where local families compete for the banner of the Virgin Mary. 3. Turin. This was my home for a couple of years. I really was able to discover this gem in Italy's Piedmont region. 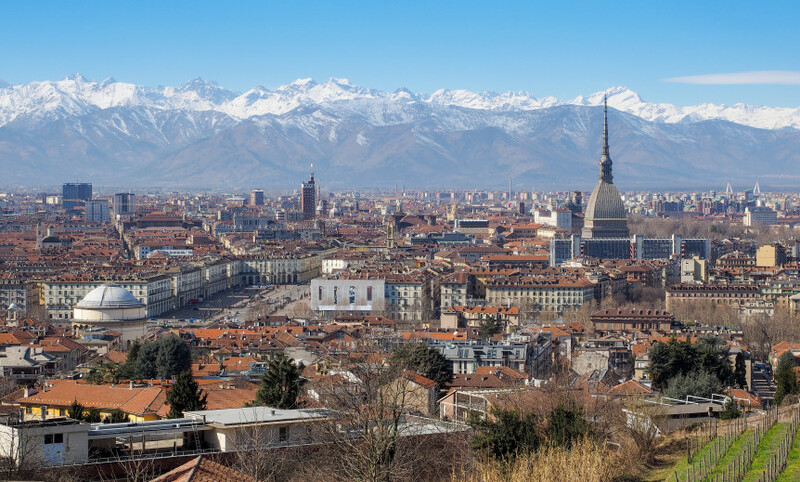 Turin is usually known for the auto industry, namely Fiat. Turin is the Detroit of Italy, so it is said. But in reality, Turin has so much to discover. It is a Baroque city of beautiful, elegant architecture. It is also the city of many holy things: Shroud of Turin, Blessed Pier Giorgio Frassati, St. John Bosco, St. Domenico Savio, St. Joseph Cottolengo, St. Giuseppe Cafasso, and the list goes on really. 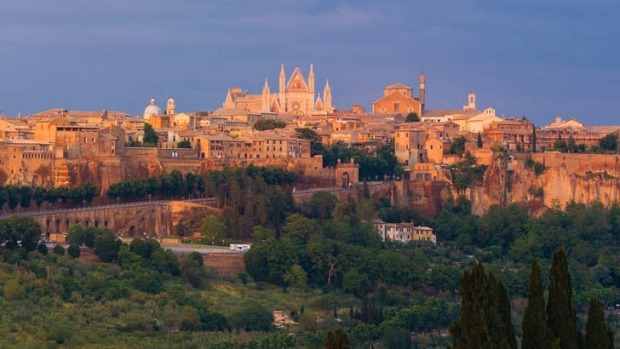 A great city to visit if you love cars but an even better place to visit for it's rich history in Italian patronage as it was the original capital of Italy. 4. Amalfi Coast (Positano). When I originally visited Amalfi back in 1999 it was not a well known destination among international tourists. Hence, it was a pleasant destination to rest and just relax. It's beauty is beyond captivating. It truly looks like that quintessential Italian city on the southern coast. Unfortunately, now it is very popular and it is no longer the quiet beauty it was before. But I must say that it is so absolutely breathtaking that it deserves a visit regardless of the crowds and the annoying street vendors. 5. Orvieto. This small hill town is just over an hour from Rome. It is a great day trip and it deserves a look for many reasons. First of all it is a quaint little hill town with lots of wonderful things to see. But probably one of the most spectacular reasons to visit this town is it's Cathedral. This 14th century gem displays its beauty both on the inside and out. It's Romanesque-Gothic style is truly amazing and is unlike any other in the region. But it's most amazing feature is within. The Cathedral was built by Pope Urban IV to house the Eucharistic miracle that had occurred in 1263 in the nearby town of Bolsena. Whether you believe or not, it is an amazing story of faith. You can read about it here. 6. Venice. I have a love-hate relationship with Venice. I lived there for a little over two months in 1999. I lived on the Island of Giudecca which can be seen right from St. Mark's square on the main island. 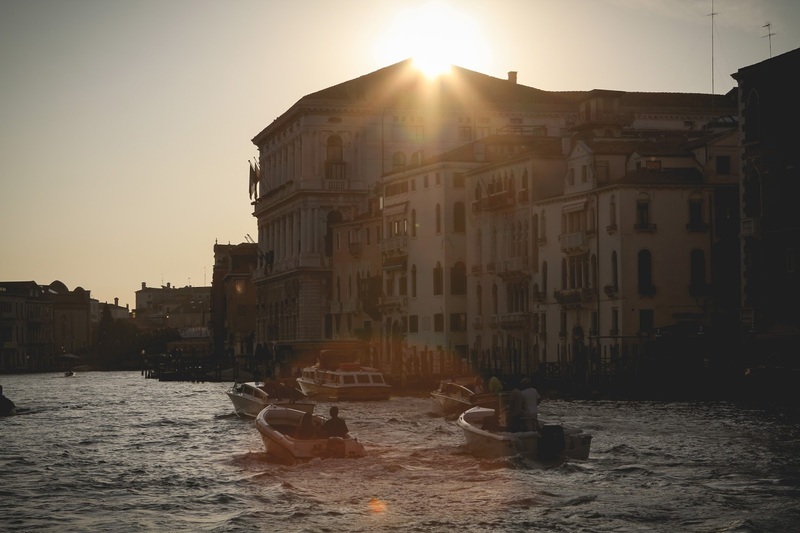 It was a great time spent discovering the real life of the Venetians. But it was also the discovery of a real burden: the tourists. We did the best we could to not live like tourists although that was quite difficult since we wanted to discover every inch of the islands. However, we could see how the constant waves of tourists, practically all year round, could take the much loved beauty of the islands and turn it into a curse. Venice merits a visit at least once in your lifetime but I suggest you go when tourism is at it's low point which is mainly during the winter or acqua-alta. Every inch of this beauty is a cause for wonder. I have never seen any city like it! 7. Trento. Otherwise known as Trent. I love this city. It is a city that is just bustling with life and history. This is the city of the Council of Trent (1545), one of the Catholic Church's most important councils, propelled by the Protestant Reformation. The history is in it's walls, walkways, people and surrounding homes. When I've stayed in Trent, I have always stayed in a little town outside of the main city called Povo. There is the greatest treasure of my visits. The treasure is a wise friend; a now 101 (or so) woman whom I have nurtured a friendship with throughout the years. Although I have spent little time with her, she has taught me things about life I never would have learned on my own. She is a treasure box of wisdom and wit. Trent is one of the wealthiest cities in Italy. It can be seen in the shops and cafes and it is a sight to see. All in all, it is a city I love returning to for more reasons than one. 8. Verona. 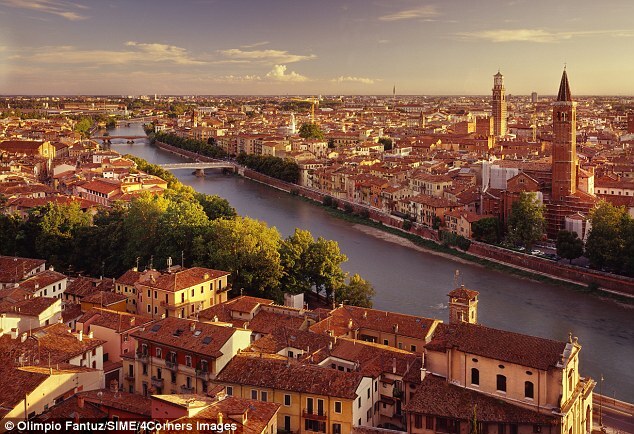 Verona is famous for being the setting of Shakespeare's Romeo and Juliet. Even if it weren't, it is still a lovely city. It is small but packed with so much to see. From the balcony where Juliet heard the words of Romeo's love, to the 1st century Roman amphitheatre where you can still enjoy a wonderful opera and witness the amazing acoustical engineering of Roman genius'. There is so much to do here. In the evening you can stroll through the wonderfully cramped streets of the ancient city center and just take in the sights and sounds of a lively northern Italian city. There are so many great day trips you can make from here as well. The surrounding countryside is worth exploring. 9. Napoli. This is a city that truly reveals the heart of the south of Italy. It is a city where you can take in the everyday life of the south. From the street vendors, to the tight side alley ways full of shops that spill their goods onto the street, this city reveals the Italy of many years ago. The food is out of this world. You can probably find some of the best restaurants in the more local areas. I would always recommend eating where there are no tourists. 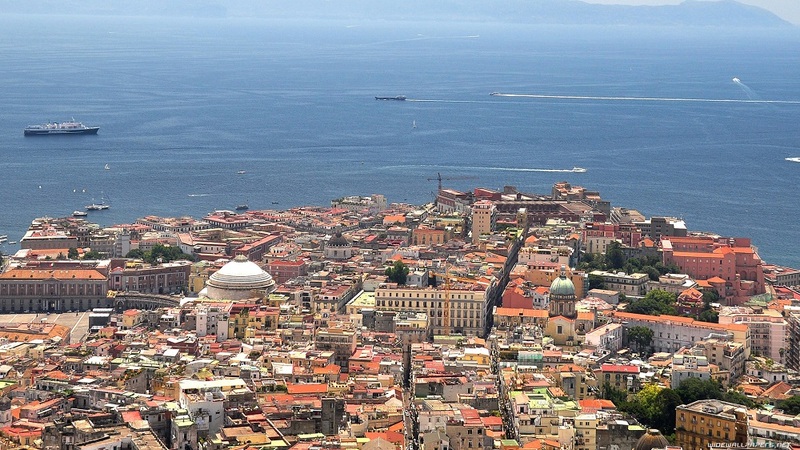 But in a city like Napoli it is best to visit and eat with a local. Not only are some parts not the best areas to walk into as a foreigner but you will just get the best of everything when you discover Napoli through a local. Eat the pizza! It is probably some of the best in all of Italy. 10. Assisi. This is a city, like Rome and Turin, where I have left a piece of my heart. I spent quite a few years running retreats here, every October, during the feast of St. Francis. The city in and of itself is so unique. It is the birthplace of St. Francis and St. Claire of Assisi and so many other great saints. You can feel a bit of eternity uniting with earth here. It's a place of prayer. A place of peace. It is also a place of great beauty. Like many cities on a hill, Assisi is fortressed and nestled in it's surroundings. It is set in the hill country of Umbria. It is a gem and all who travel to Italy must visit this beautiful place. Yes. It is very touristy, but unlike Venice, for some reason, you do not notice the tourists as much. Perhaps it's because it feels like a bit of heaven? There are so many other cities left to mention. There is, of course, Florence, Bologna, Padova, Milan, Como. The list goes on. Each region has it's unique beauty. Italy is certainly a place to visit in one's lifetime. Italy is by far one of the most heart warming places I have ever been to. I have always believed that at the end of the day, it's the people that make a place. Italians are just so welcoming, so caring and so much fun. I guess I will always be biased when it comes to this place of beautiful living. Viva l'Italia! I know. I have that ache very day!!! So many wonderful memories indeed and I was privileged to have shared a year of my time there with you! God bless you both!